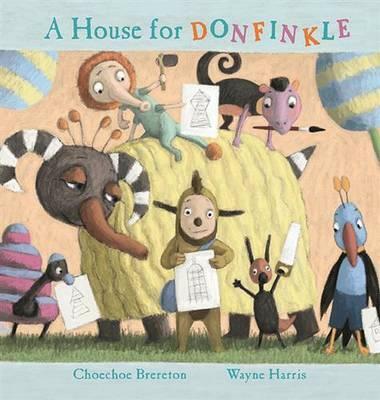 Donfinkle Vonkrinkle is building a home. He builds a lovely house, but not everyone thinks it is so great. All the strange creatures he knows have suggestions as to what he can do to make it better. When too many people try to make a thing perfect often things end up just the opposite. This is a lovely little picture book. It is a charming story about balancing what you want with what others believe is best for you. The text is presented in rhyming verse and the illustrations are quirky, done in muted colours that works wonderfully for the story. Silly creatures and silly words make for a fun story to read aloud and share with your young ones.